Your donations will be used to bring health to new moms and babies—and hope to the nation of Zambia! 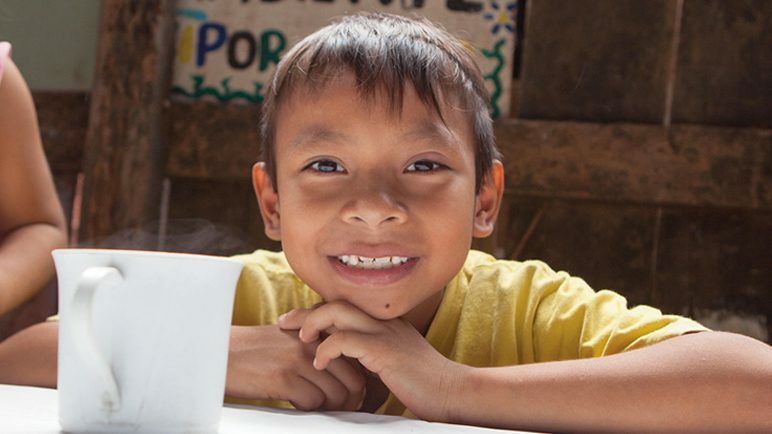 Operation Kid-to-Kid is one of the world’s largest service mission projects for children. 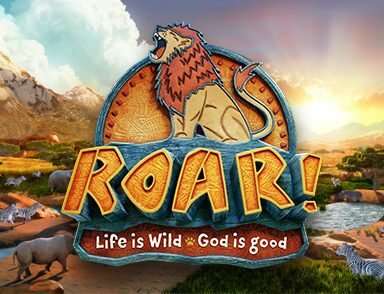 International Christian organizations and Group’s Vacation Bible School programs team up to get kids involved with helping other kids. Kids have the opportunity to help other children around the world by giving gifts like school supplies, Bibles, hygiene kits, Christmas gifts, Bible coloring books, and socks and shoes. 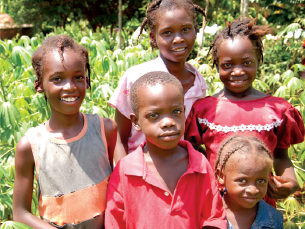 Children have also funded extensive malaria prevention and clean water initiatives in Africa and India! Year after year, Operation Kid-to-Kid is one of the driving forces in mobilizing children to serve other kids in need. Each year millions of dollars are given by kids to help other kids in need. 2019: Give Babies in Zambia a Healthy Start! Did you know the first 1,000 days of a baby’s life are crucially formative to their future? Malnutrition during the first 2 years can lead to irreversible issues that limit babies from reaching their full potential in life. 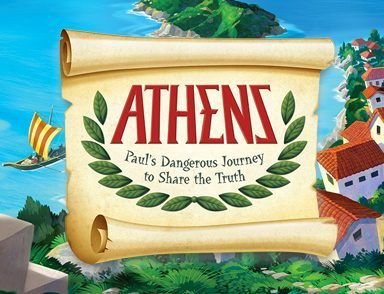 BUT, it’s preventable—and your VBS kids can help! Group Publishing and World Vision are partnering to help moms and babies get the best beginnings they can. Each $10 donation through Operation Kid-to-Kid provides supplemental nutrition and education to a mom and child for 2 years. By joining with thousands of other VBS kids, you’ll bring health to new moms and babies—and hope to the nation of Zambia! Order the Operation Kid-to-Kid Giving Tree Display and Living Leaves Stickers, and set it up in a main gathering area at your church. 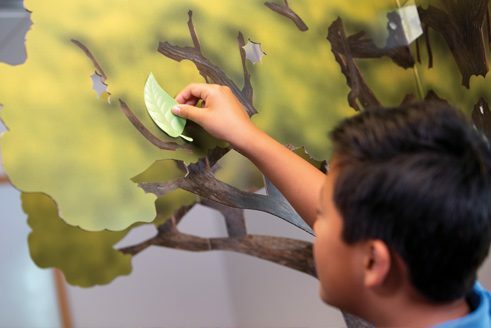 Kids will add a leaf to the tree with each donation! As the tree becomes leafy and green, you’ll get a glimpse of the health and hope provided through the project! Send in the total donation amount to World Vision (see links below). The donations will be used to provide care, education, and monitoring to women and children all over Zambia. It’s hard to imagine but on the small island nation of Haiti, less than a thousand miles from the U.S., millions of children are suffering from malnutrition. With a population of almost 11 million people, Haiti is one of the poorest countries in the Western Hemisphere. Decades of deforestation have resulted in prolonged drought and poor soil conditions. Harvests have dropped to one-third of their normal production. The end result is over 26% of Haitian children under the age of 5 suffer from chronic malnutrition. During the month of August, 2018 a total of 1050 households received 7 seed species, each beneficiary receiving 3 different species for farming their plots of land. The seeds distributed to the beneficiaries are: (a) 6 metric tons of pigeon pea (Cajanus cajan); (b) 6 metric tons of peanut (Arachis hypogaea L.); (c) 3 metric tons of Vigna sinensis; (d) 3 metric tons of Maize (Zea mays L.); (e) 45.000 cuttings of cassava (Manihot cassava); (f) 45.000 cuttings of potatoes (Ipomoea batatas L); and, (g) 5.000 suckers of plantain. The field team is accompanying the farmers to practice improved farming techniques in order to have good harvest. Currently, monitoring is being done at farmer’s plots level. The long term goal of the project is to assist 2,100 beneficiaries, giving them access to products permitted for organic farming. The access to agricultural inputs became available during autumn 2018, and throughout the spring 2019 planting seasons. The project also supports established saving groups giving families a safe place to save and access money for loans, and for emergency situations. 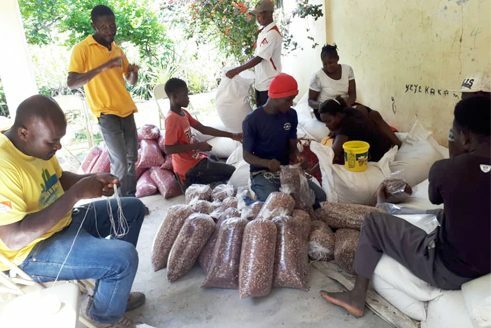 The Haiti Seed Project has training sessions scheduled throughout 2019. During training sessions, beneficiary farmers will be taught different agricultural production techniques and harvest management. The trainings focus is to help farmers optimize their crops. Thanks to all the VBS churches that so generously supported Operation Kid-to-Kid in 2018. Because of you parents in Haiti are able to experience the dignity of providing for their families. The summer of 2017 saw millions of Group VBS kids across the country mobilize to help bring clean water to families in remote villages in Peru. VBS programs partnered with Operation Kid-to-Kid and Living Water International to help provide sustainable wells throughout Peru. In 2016 Operation Kid to Kid partnered with Biblica to provide Thai-language children’s Bibles. Bibles of any kind are a rarity in the Thai language. 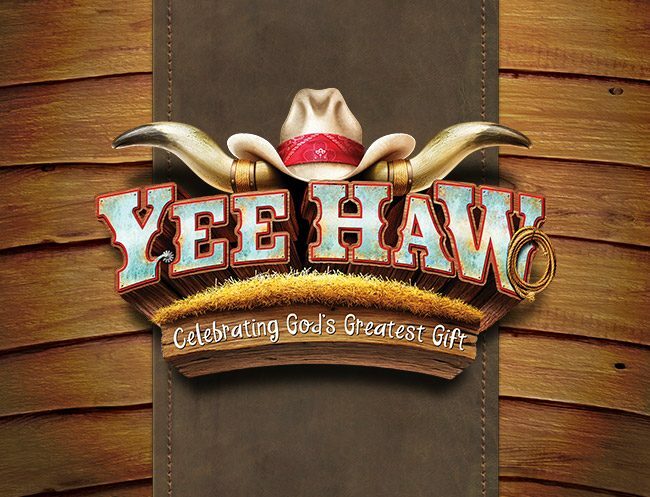 These Bibles are bringing the Word of God to hundreds of thousands of kids thanks to you! 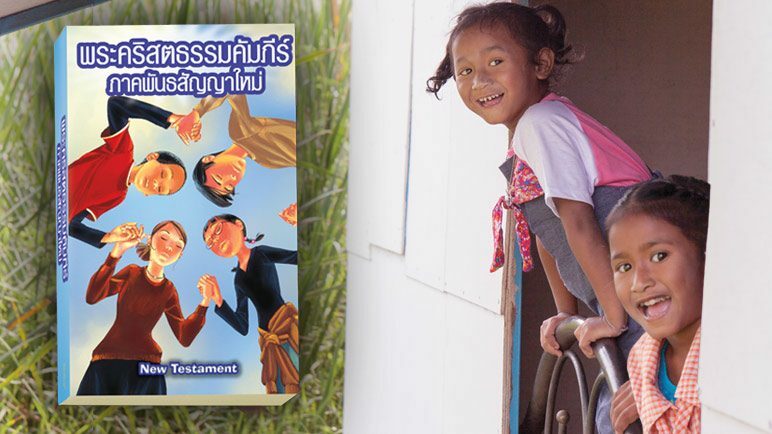 With your support, Biblica worked to develop a special translation of the new testament in Thai. 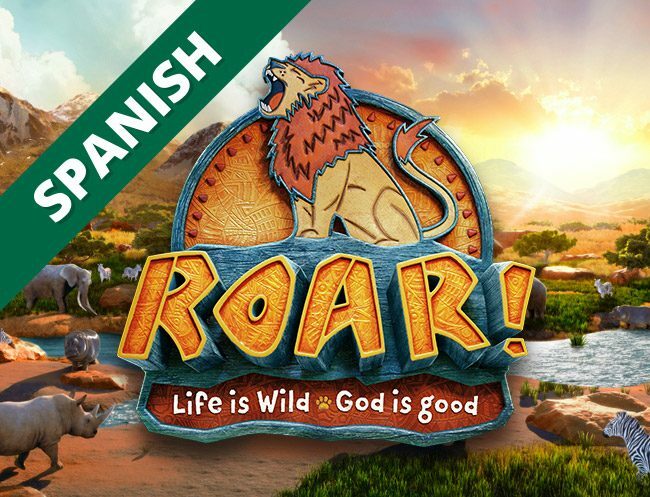 But beyond just doing the translation, this Bible was designed specifically for kids. There’s no better example of kids helping kids than that! Thank you for your support of this program. By partnering with Operation Kid to Kid you are making a difference.